It’s been a long season to say the least – especially for cotton. We are trying to finish up in Wilcox County. Even when it stopped raining a little bit, fields were still wet. 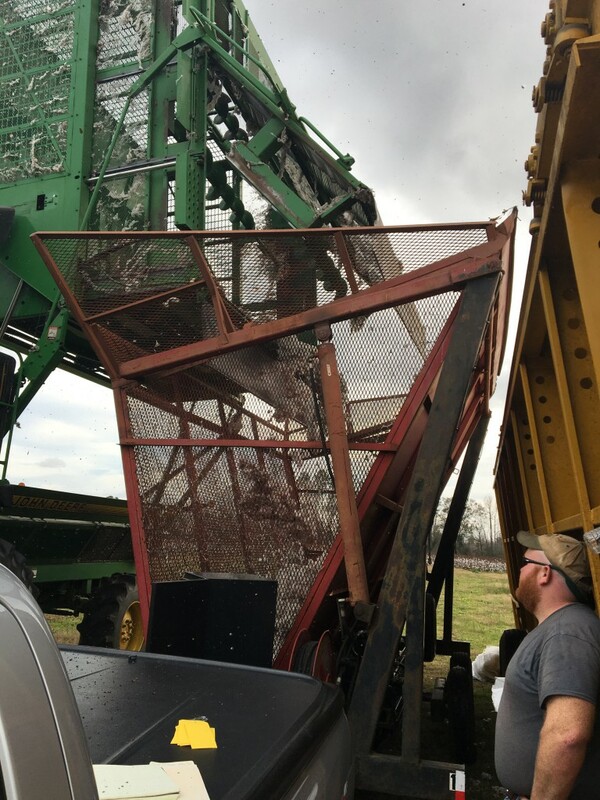 Even where we could pick, growers are using some mounting kits to keep from bogging. 2018 is certainly going to be the year that could’ve been. 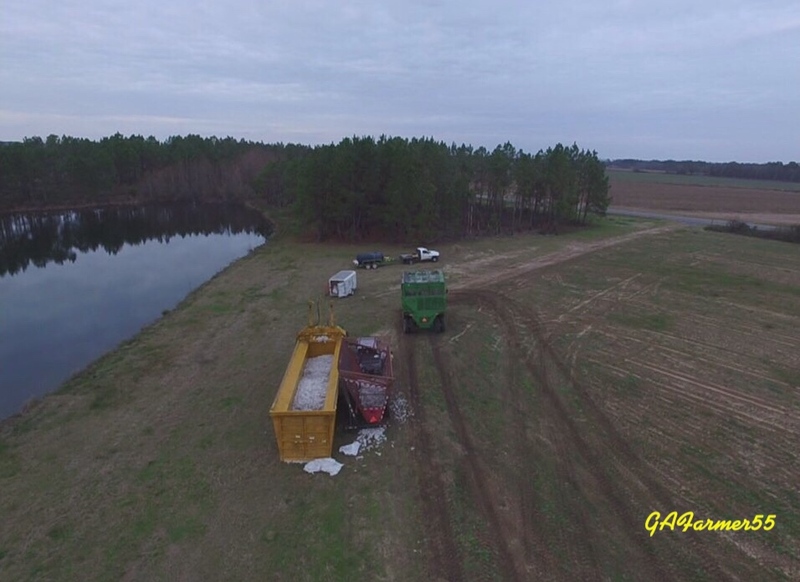 GA planted 1.4 million acres which was the largest planted crop since 2011. The price was also good going into the season and projected yield looked great. Before the hurricane, USDA predicted our average yield to be 980 lbs. This would have been GA’s 2nd best crop ever. That would’ve been 2.9 million total bales. 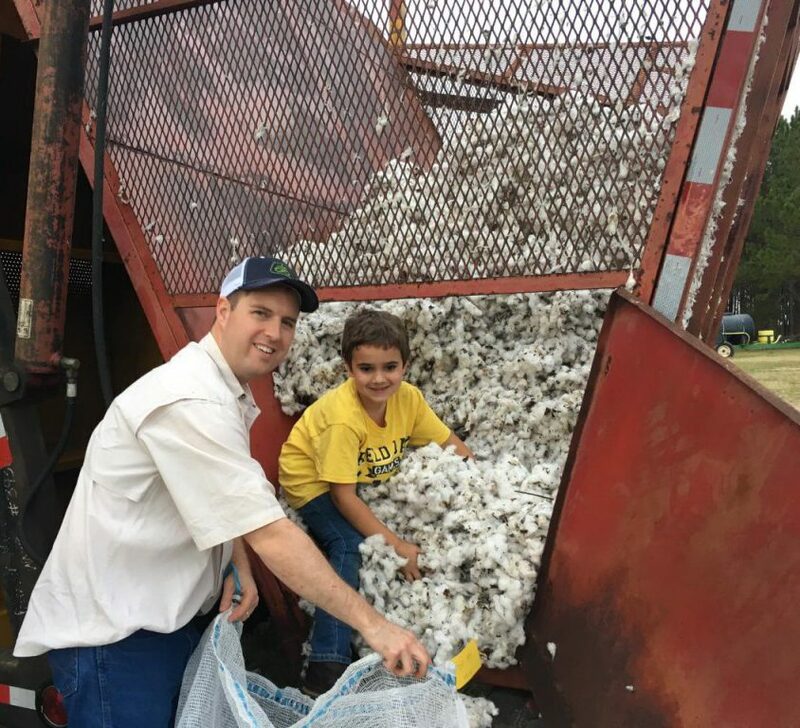 When the hurricane hit, about 12% of our cotton was picked. 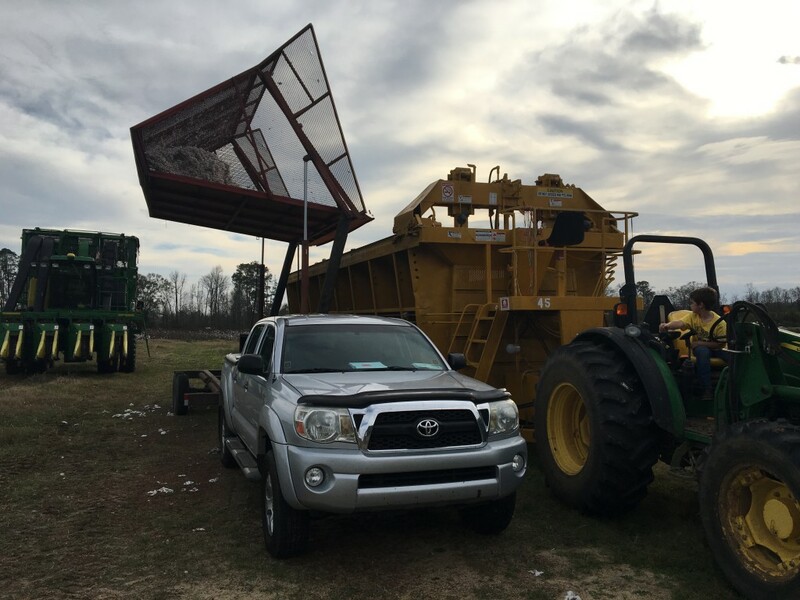 UGA Cotton Agronomist Dr. Jared Whitaker worked with county agents to collect lint from 50 fields across the state before and after the storm. Losses ranged from 1% to 81% and averaged 38%. One county more than 200 miles from where the hurricane hit saw 54% loss. As of today, GA yield is set at 676 lbs / A, estimating 1.9 million bales. I think that is still good for one of the most damaging weather events to affect U.S. cotton. GA total loss is between $550 and $600 million. 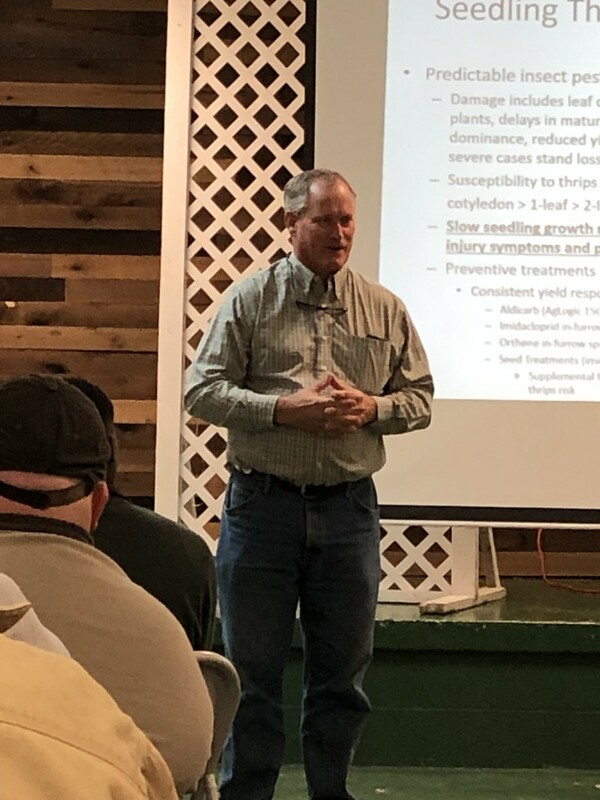 At our cotton meeting, GA Cotton Commission Richie Seaton talked about contamination. We had issues with something called ‘bark’ back around 2012. We’re seeing it again this year and right now the numbers out of Macon are at about 12.5%. It’s hard to exactly describe ‘bark.’ It’s almost like a fiber in itself. It’s basically what you see inside the stem if you took the stalk of a cotton plant and bent in a ‘U’ shape to break it. Because it is like a fiber, it’s hard for the gins to get it out of the lint. With some of our newer pickers, we wondered if bark was related to aggressiveness of the a picker tearing at the plants. However, data from the UGA Cotton Team suggests this is not the case. These issues with bark associated with the plants being kill off – basically from frost. With our situation this year having an earlier frost and long harvest season, bark is more evident.